Do you want to test new features for Instagram? The company has provided a way to do just that with its beta program, which you can find on this Google Group page. Replace the regular Instagram app. Its actively developed features may not work perfectly. Instagram will need your feedback to figure out what’s wrong. 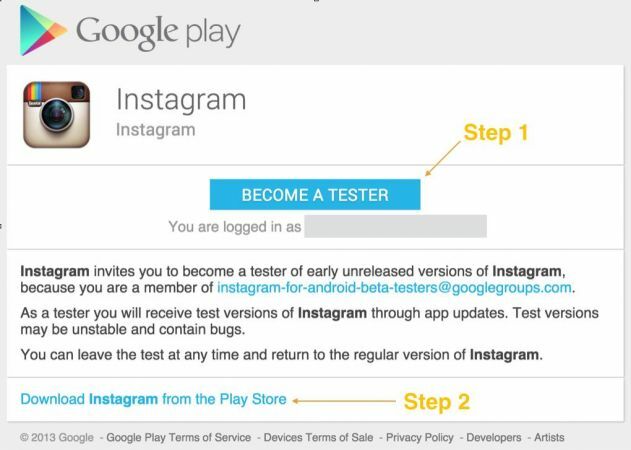 You can leave the program at any time and use the re-download the regular version of Instagram from the Play Store. Join the Google Group, which you can find at the top of the link above. Download Instagram from the Play Store. Lastly, it recommends that you report problems through the “Report a problem” option in settings. After you've done this once, you can turn on Shake to report in the future. You can also find troubleshooting tips on the page. While Instagram Beta is free, Instagram also warns you to not re-distribute the app unless you obtain permission first.